Why is private going public when we know it is usually the other way around? In this case we are not talking about a public company but rather a confederation of art dealers. The Private Art Dealers Association (PADA) is a group of 45 dealers around the country who joined together a quarter of a century ago to give a voice to the dealers who decided to keep their businesses small in order to be able to spend all their time on what matters to them—the art: to be able to seek it out, study it and speak about it with all who are interested. The question what is a private dealer comes up every so often at meetings of the members and, though I am sure all would agree with the above, there is never total agreement on the size and location of the gallery space. We do believe that the gallery is above street level and there is not a regular schedule of exhibitions. Some only have a Post Office Address and most are by appointment only. I was asked to join some years ago and I asked, “How come?” I had a fairly sizeable gallery at the time but we were above street level with a maximum of one exhibition a year, most people did make an appointment before coming and a principal was always available to talk with all who came through the door. This is, however, a new age, much of the art business is conducted at auctions and art fairs. Many collectors and potential collectors either don’t have the time to go from one gallery to another or they are scared to enter a location where someone may confront them and they are scared of showing ignorance. They do not understand that it is the greatest pleasure of the private dealer to have the time to talk quietly about the art that they love. Therefore, to celebrate our 25th Anniversary we, the members of the Private Art Dealers Association, have decided to come out of the closet, so to speak, and go public for a couple of weeks. It turns out that quite by accident there is a small building on the East Side of Manhattan (13 East 69th Street) that houses 4 art galleries, 3 of which belong to PADA including Stiebel, Ltd. Together, we and the other 2, Debra Force Fine Art and Menconi & Schoelkopf Fine Art have agreed to host an exhibition for all the dealers in the Association. Almost 40 years ago I had the pleasure of working on a larger exhibition with a similar concept called “The Grand Gallery” which was held at the Metropolitan Museum and included works from some 300 art dealers here and abroad. 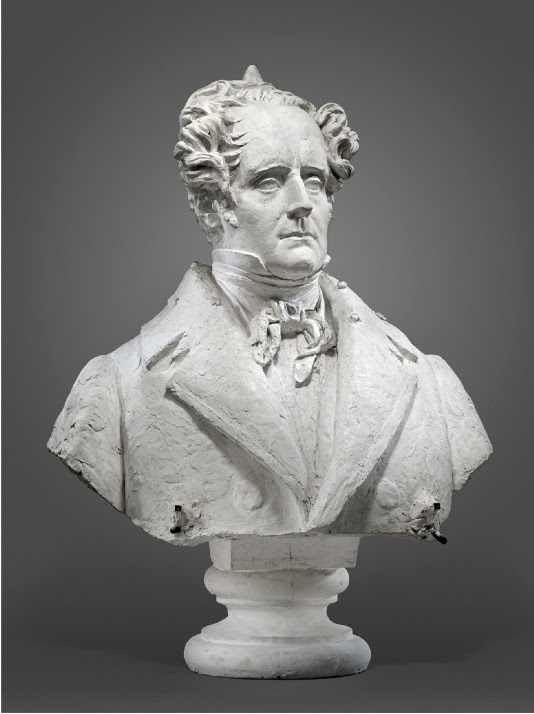 They were all members of The International Confederation of Art Dealers, which consisted, at the time, of some 3- 4,000 dealers in 20 odd countries. The difference was you could not buy anything in the exhibit at the Met! 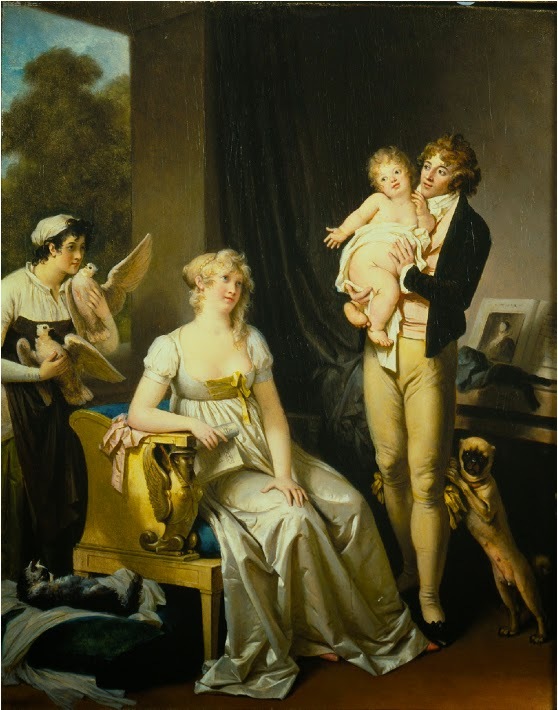 Robert B. Simon, President of PADA points out in his introduction to the brochure that many of the PADA dealers were not born into the business as I was but were “art historians, curators, auction house specialists, collectors and writers”. They are just as varied in their specialties. In this exhibition you will find Sixteenth to the Twentieth Century Paintings, Sculpture and Photographs from many different countries. Stiebel Ltd. Is exhibiting a painting by Marguerite Gérard (1761-1837) called “L’Heureux Ménage” (The Happy Family), a painting that belonged to my parents and they had traded it for a picture by Paris School artist, Marie Laurencin. David & Constance Yates are showing a large portrait bust by Pierre-Jean David D’Angers (1788-1856), it is of Francois-Rene de Chateaubriand, an extremely timely showing considering the wonderful exhibition on now at the Frick Collection in New York (which is only one block from our exhibition and I plan to write about it next week). W.M. Brady is exhibiting a drawing by Giovanni Francesco Barbieri, called Il Guercino (1591-1666) the “Head of a Bearded Many Wearing a Turban”. 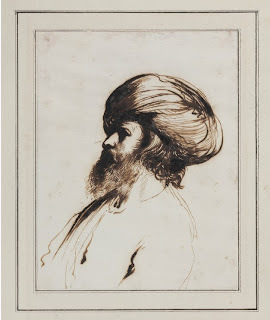 Guercino is known as one of the most important draughtsman of his time. 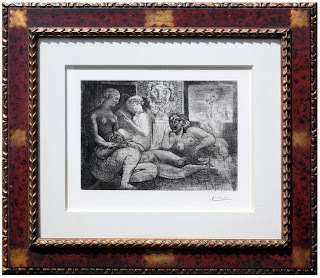 Ann Kendall Richards is showing an etching by the best known artist of all, Pablo Picasso (1881-1973), “Quatre Femmes Nues” and hers is not the only Picasso being exhibited. 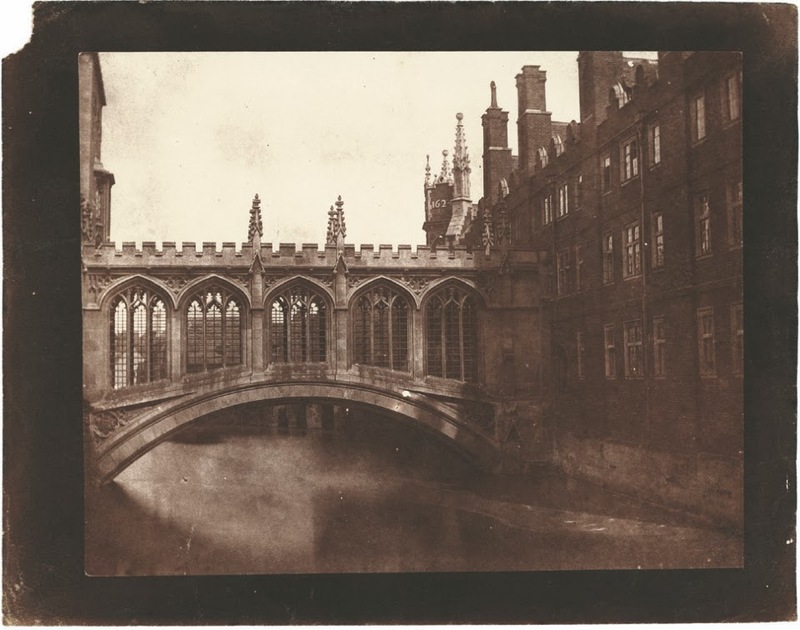 Hans P. Kraus, Jr. is exhibiting a photo by William Henry Fox Talbot (1800-1877) the “Bridge of Sighs, St. John’s College, Cambridge". As PADA’s President, Robert Simon, has said we hope that, “the exhibition will call attention to the work that private art dealers do and introduce interested collectors to dealers they may not have known, while celebrating the twenty-fifth anniversary of our organization”. During the show there will always be one and usually more members of PADA available to discuss the specific art or the art market in general with you. At one of the exhibiting galleries you will be able pick up a brochure where you will find the works of art mentioned plus about another 30. In the meantime you can find one on line (click here). As a reader of my Missives you are invited to attend the Preview Day, I look forward to welcoming you at 13 East 69th Street for “Private goes Public” on Thursday October 31 (Halloween—costumes not required). The exhibition continues through November 16. Monday – Friday from 10-5 and Saturdays from 11-5. It would be a great and very well said. Thanks for this great content and i would like to know more information on this topic. Keep sharing and keep updating your post with useful information. What a great idea! The pictures look delicious, even on the computer screen.